Spargel? Teig? Erdnussbutter? Shopping list translated, you’re raring to go. Zack zack zack and then Bosch, into your rucksack. What could possibly go wrong? Well for starters, whatever is written on your shopping list; forget it. Take out the red pen. Strike a line through each and every item. Better still; chuck it in the bin (paper recycling bin that is). Let me tell you what you will actually need. Think humans have evolved since their predator days? Wrong. Hunt is exactly what you need to do. On entering the uncomfortable warmth of the questionable supermarket air, you need all 5 senses in check. Hunter-gatherer days are back and not just thanks to the trending paleo diet. 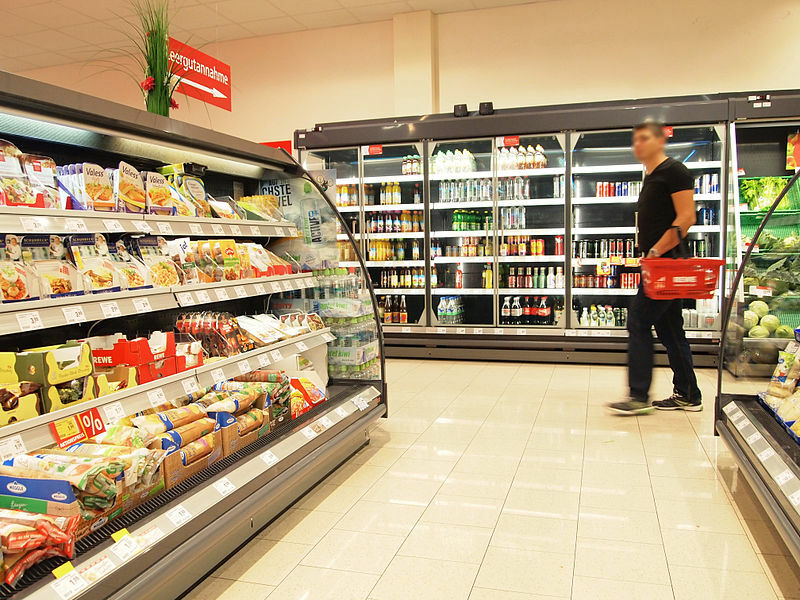 What the finished Abendbrot product does not show, for example, is the sweat prickling search for food that took you from aisle to aisle and corner to corner in order to navigate your way through a sharply lit maze of endless cardboard. Cancel that gym membership; Lidl offers free entry with a lifetime membership. Crowd control has never impressed me in Germany and Berlin is no exception. Yet while you might struggle to enforce an orderly queue at the train doors, supermarkets are simply exemplary. A queue for Pfand. A queue to pay. A queue to pay a real person or queue for the self-checkout. A queue to pack your bag in peace. Or disrupt the disgruntled queue behind you as you realize you won’t quite fit everything in your own bag and do indeed need to pay for a plastic bag after all. As your Netto purchases tumble down the conveyor belt (which resembles more of a sweatband it’s so small) and collect rapidly at your fumbling fingers, pressure mounts under the glaring line of beady eyes. Keep calm and carry on packing? Easier said than done. If you feel mentally and physically prepared for the supermarket experience, I wish you well. It’s something I try to keep to a bare minimum, but every now and again, needs must and so on. (And depending on what your needs are exactly, it might be wise to bypass the bananas at Aldi. Turns out they offer much more than one of your five a day as another failed drug trafficking attempt hit the headlines recently.) Ignoring the German Supermarket Giants however, I personally prefer to visit the Turkish Supermarket Eurogida. Time it right and you can nab the freshest (not to mention cheapest) fruit and veg in town. Need help with your packing? This is one supermarket chain which does show a need for speed and will kindly pack your bags as you pay up. But if customer service is the selling point for you, well, I’m afraid you might be in the wrong city. Alice joined the Berlin startup scene in July 2014 and works for an online travel company. Originally from London UK, she swapped one capital for another and now details her latest discoveries on DiaryDE.